The native Dictation system gives users the ability to dictate into any text field from his or her keyboard screen. Siri is a voice-activated software assistant that can launch your program of choice and input dictated text. Both of these features require an Internet connection, since they contact servers to verify spelling and punctuation. These dictation tools can be immensely useful when you need to take notes in a hands-free context, such as driving with a headset on. In addition, there are numerous third-party dictation alternatives that can help you convert text to speech for specialized tasks. The iPhone’s text-to-speech features first appeared in the mobile operating system iOS 5, released on Oct. 12, 2011. In order to use dictation features from your software keyboard or the Siri interface, your iPhone must be able to run iOS 5 or later operating system and meet certain hardware requirements. The Siri and Dictation features are only compatible with the iPhone 4S and later models. iPhones that have the Siri feature enabled in the Settings menu display a small microphone icon on the bottom left of the software keyboard. You must have access to either Wi-Fi or cellular data to make use of the dictation feature. That feature can operate in both native and third-party apps when you select a text field. As you record dictation, you can say punctuation marks aloud, such as “comma” or “period,” to insert those characters into the text. The Siri software assistant can be accessed by holding down the “Home” button on your iPhone. Now you can direct your phone to launch a particular app, such as Notes or Email, and dictate right into these apps. Siri expands the functionality of speech-to-text operations, so you can create documents and even share them with others once you’ve completed your text draft. A wide variety of dictation software is available in the App Store, which can help you achieve particular dictation goals. For example, the Philips SpeechExec app for iPhone was made exclusively to handle business documents, with full encryption to secure your company correspondence. These dictation apps are a welcome addition to newer iOS devices. However, the newest Apple gadgets can be quite pricey. 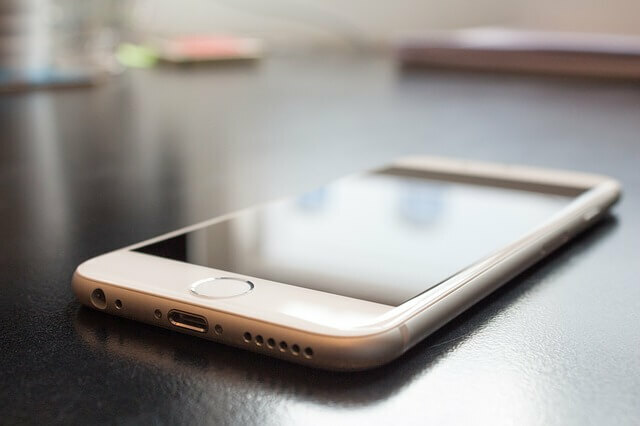 If you need to upgrade your hardware to run the latest dictation software, then you might consider purchasing a refurbished smartphone, which can get you the same functionality for a much lower cost. Soon, you’ll be able to use the power of your voice to type out notes and correspondence! Ryan is Tech blogger. He contributes to the Blogging, Gadgets, Social Media and Tech News section on TechKraze. Chris on 5 Amazing Apps that Pet Lovers will Enjoy!